All Utilities Paid With Internet and Cable Included! Lake Broadway Townhomes, complete with all utilities paid, including high speed internet and basic expanded cable, provide you with the perfect place to call home! We have 57 two bedroom two bath 1200 square foot townhomes and one three bedroom three bath 1400 square foot townhome. Your rent includes ALL utilities paid, internet, cable, and a full-size washer and dryer. Spacious living room with two cable outlets, one on each wall. Huge windows allow natural light to stream in! Storage closet with abundant room for holiday decorations, can also be used as an extended pantry. 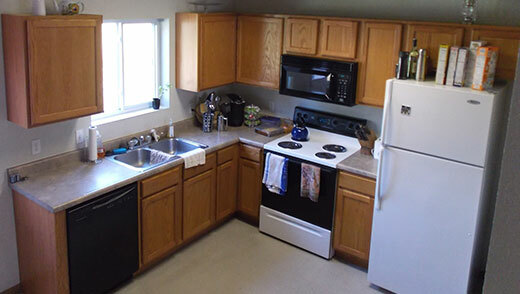 Kitchen features a handy breakfast bar, generous cabinet space, fully equipped with all updated appliances, fridge and freezer with an automatic ice-maker, microwave with overhead fan, oven and stove, sink with disposal, and dishwasher. Storage closet- with lots of extra room overhead – which opens up to your up-to date, full-size washer and dryer. Back patio with a generous amount of green space for you and your furry family members. 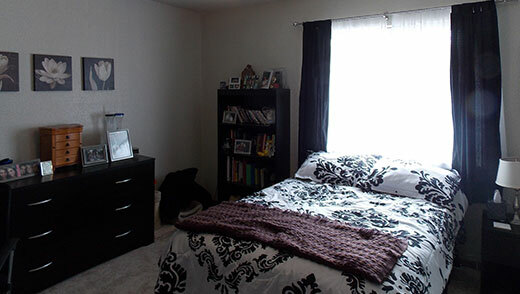 Both bedrooms are nearly the same size – perfect for roommates! First bedroom has an attached bath with a vanity, medicine cabinet, underneath cabinet space, and a shower and tub combination. All closets are full-sized and have mirrored doors for your convenience. Second bathroom in the hall – identical to the master bathroom. Second bedroom has additional storage closet for miscellaneous items! Do not let our community fill up without you being apart of it! You can count on our warm, friendly, and helpful team to provide you with a place to call home.